The positive discipline method has proved to be an invaluable resource for teachers who want to foster creative problem-solving within their students, giving them the behavioral skills they need to understand and process what they learn. Each tool is tailored specifically for the modern teacher, with examples and solutions to each and every roadblock that stands in the way of cooperative and student-centered learning. 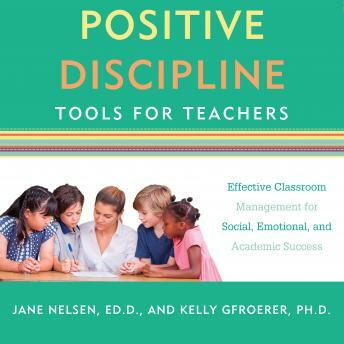 This comprehensive book also includes a multitude of teacher stories and testimonials and in-depth research on the science behind why positive discipline method is so effective. What works for parents, can just as effectively work for teachers.